Is The Diesel Maserati Levante Just As Fun To Hoon As The Gasoline Version? Thank heavens the US doesn’t get the diesel. One of the most surprising combinations of sight and sound is that of a Maserati-badged vehicle approaching with the rattling noise of a diesel engine coming from its exhaust pipe. It began with the 3.0-liter turbocharged V6 in the Ghibli that lacked spark plugs. Initially marketed towards diesel-loving Europe, it was only a matter of time until the engine made it to the next piece of Maserati sacrilege, the Levante SUV. Unfortunately for UK buyers, the Levante is only available in diesel guise on the island. This, however, doesn’t do very much to hinder Harry Metcalfe, founder of Evo Magazine and YouTube channel Harry’s Garage, and his morning drive with the Levante. 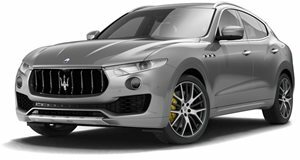 Maserati wisely built the Levante with the ability to go off road like a good SUV, so Metcalfe takes it off of the pavement for a short spill to allow it to display its capabilities. Though the Levante gets flummoxed by a steep icy hill, it should be no demerit for the SUV because not even a Land Rover was able to get up it. Later, he navigates to a grassy area where he places the car into sport mode and takes the traction control off, enabling him to get to hoon his way to the root of the Maserati's character. For a diesel, the Levante looks like it manages to be loads of fun in spite of the fact that Maserati does everything it can to hide the diesel’s negative characteristics. For Europeans looking for a stylish SUV with endless amounts of torque (because we Americans get gasoline engines laden with horsepower), look no further.